Vortex, the new incredible flip-up of the LS2 range, reaches and goes beyond the standards of elegance and comfort for a double face helmet. Brilliant and arrogant in design, the new Vortex looks to guarantee the maximum security and an excellent comfort to the users, but it doesn't compromise fashion and trends. 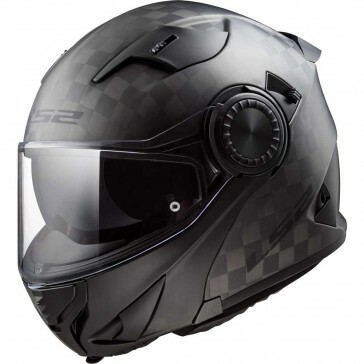 Its strength is 100% Carbon Fibre, the same used extensively in the aeronautical industry, Formula 1 and MotoGP, is an expression of reliability but also of an absolute lightness, to make it the perfect helmet for the night and day, for the city streets or for a journey to the infinite.